To celebrate that I will be having guests all month whose lives have been touched by adoption. 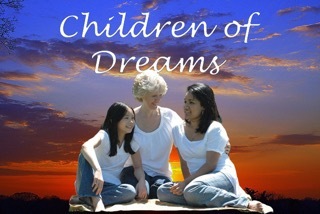 My guest today is Lorilyn Roberts, Adoptive Mother, and author of Children of Dreams, the 2016 Readers Favorite Award Winner in the Memoir category. Below is an excerpt for this book. December 6, 1999, 5:00 P.M. I felt exhilarated to have landed safely. All of our bags arrived in one piece, including the one with the broken zipper, and we checked into our room, number 504, at the Lillie Hotel without any problems. I had no tours of the red light district of downtown Hanoi as I had had in Bangkok. “Your baby be here soon,” he said to the young woman I came to know as Jackie. She had a husband and five-year-old son back home in Canada. That’s how it worked. 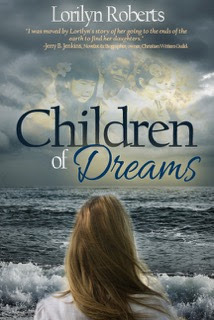 Anne had a contact person at the hotel that would have the babies dropped off after the adoptive families or mothers arrived. I was excited for them and could hardly wait to hear the same words spoken to me. My heart fluttered in anticipation to meet my new baby. The other mothers cleared out of my way so he could address me with news about my baby. “There is problem with baby,” he said to me. I thought he meant some sort of medical problem. My excitement to be in Vietnam and anticipation of receiving my baby evaporated into worry and fear. He started to explain more, but because of his poor English, I couldn’t understand most of what he said. I briefly reflected back to Nepal and how fortunate I was that Ankit spoke English so well. “When will I receive my baby?” I asked. I could feel my blood pressure rising as I tried to control the tone in my voice. The receptionist at the desk tried to help with translation, but the most I could get out of either of them was that he didn’t know. Anne would call me tomorrow. “Tomorrow?” I repeated. That was completely unacceptable. I was visibly upset that I was talking to him and not to her. How could she do this to me? How could she not let me know what was going on and send this man who spoke such poor English to be the bearer of bad news? Being fatigued and jet lagged from the trip didn’t help. I felt slighted that the other women were receiving their babies and I wasn’t receiving mine.